While evening cocktail hours are the highlight of many boutique hotels in downtown Palm Springs, breakfasts are often just continental affairs. One notable exception is The Westcott Palm Springs (formerly POSH Palm Springs), where the owner whips up impressive vegetarian breakfasts every morning. One of his most requested specialties is his Mexican Egg Torta, which is a delicious combination of Southwest flavors baked in a lovely petal-shaped tortilla bowl. The dish is the perfect cure for a morning hangover. 1. Grease eight ramekins (4.5” diameter) with spray oil. 2. 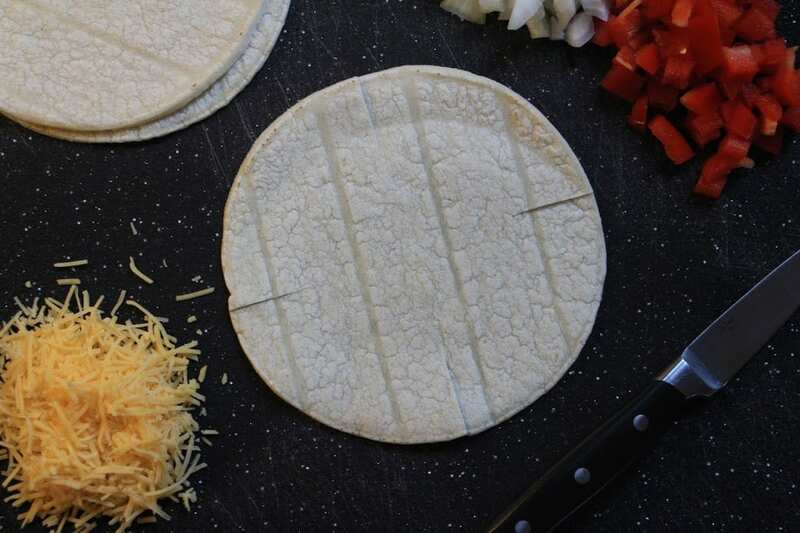 Using a small knife, make a one-inch cut into each corn tortilla at the three, six, nine, and 12 o’clock positions. 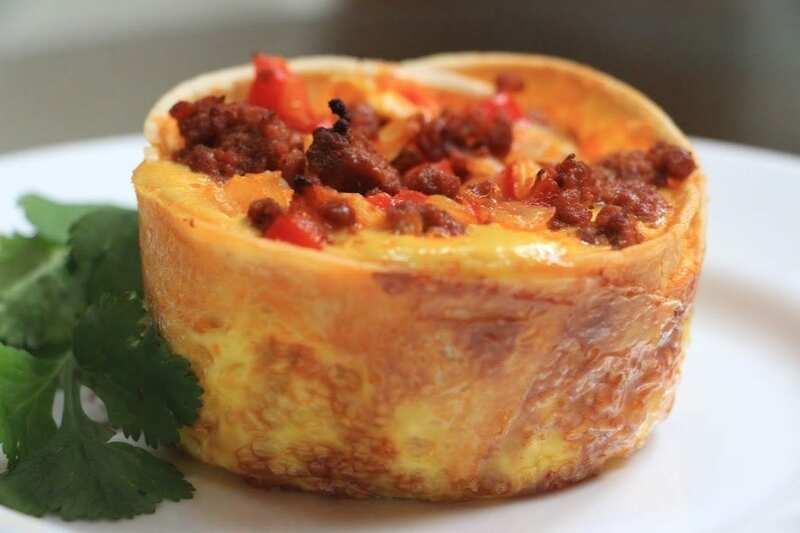 Place the tortilla into the greased ramekin folding over the edges of the cut tortilla to form a bowl in the ramekin. 3. 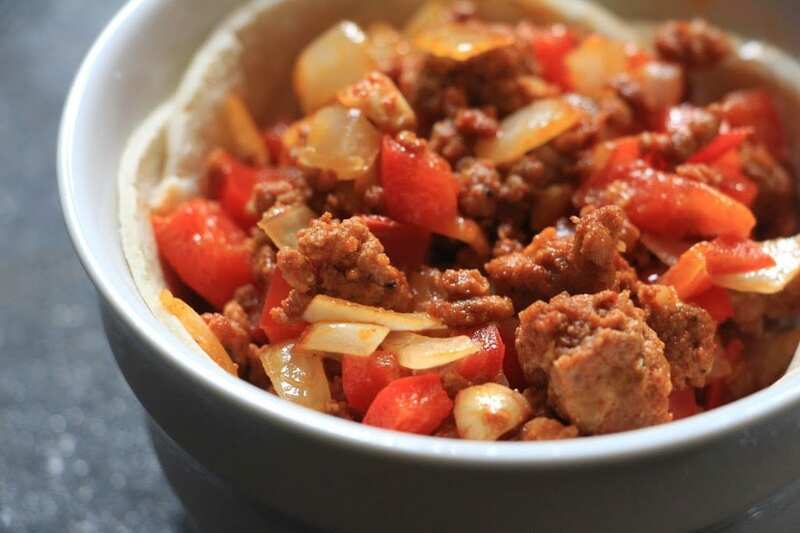 Place a generous one tablespoon dollop of refried beans into the bottom of each tortilla bowl. 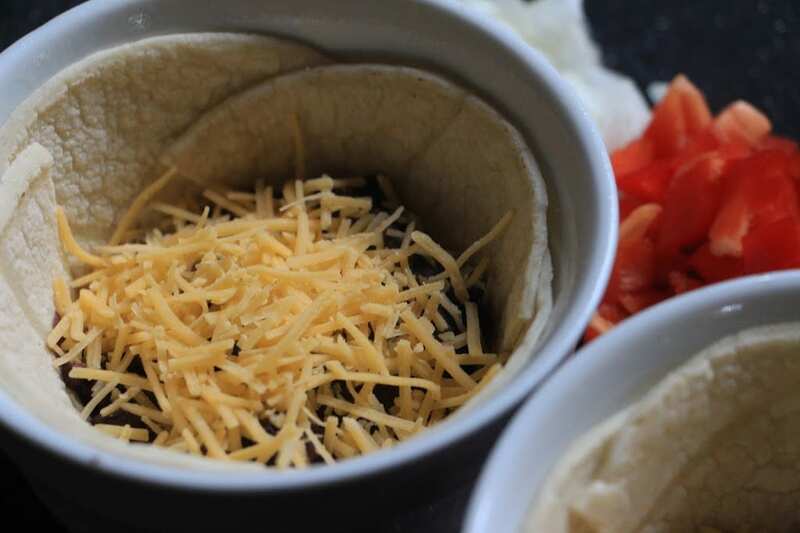 Sprinkle the shredded cheese into the tortilla bowl (about ¼ cup). 4. In a skillet, add the butter, diced red pepper, and diced onion. Sauté until the onion is clear. 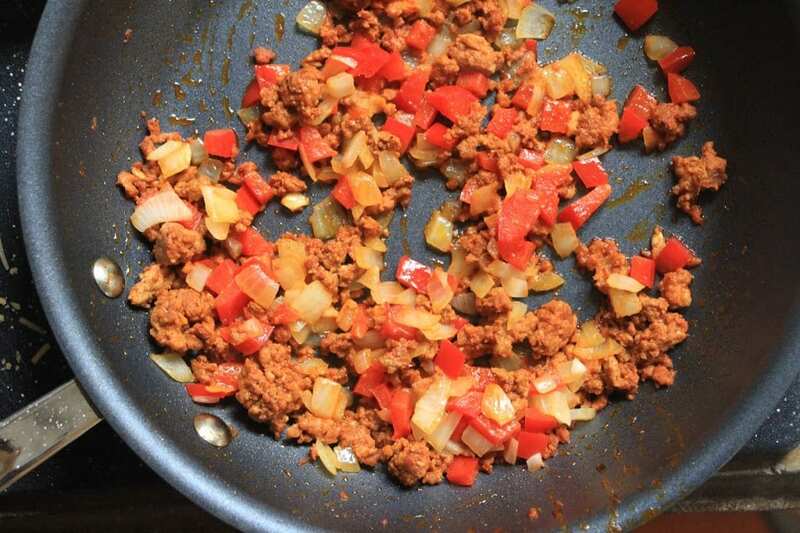 Add the chorizo and mix thoroughly in the pan. Remove from heat. 5. 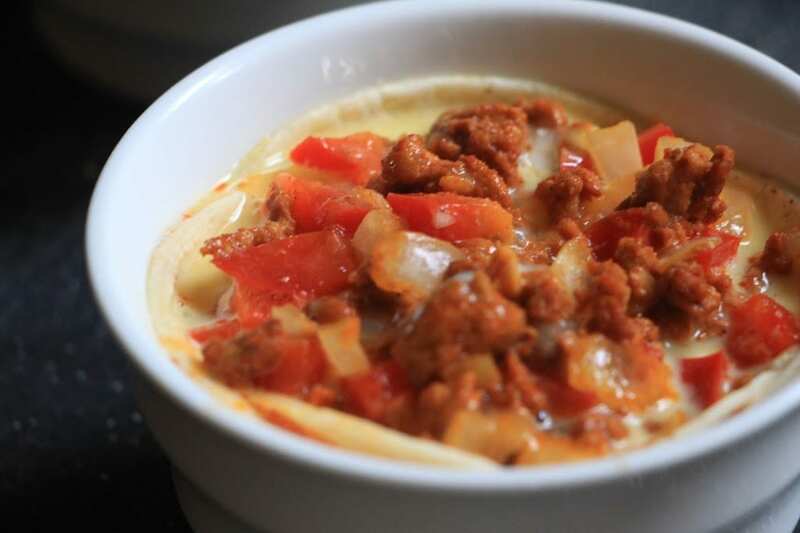 Add a generous one tablespoon dollop of the chorizo/pepper/onion mixture to each tortilla bowl. 6. Mix the eggs and half and half in a blender for 20 seconds on low speed. Pour the egg mixture into each tortilla bowl until it reaches the top of the bowl. 7. Place the ramekins on a baking sheet and bake at 375°F for 30 minutes. 8. Use a pair of tongs to remove the baked tortilla bowl from the ramekin. Use a sharp knife along the edge if the sides are sticking to the ramekin.